In this solo episode, I share an update on my exciting new Conversations project. Olly: Good morning, everybody. Welcome back to the I Will Teach You a Language podcast. This is your — I guess it’s a one-stop shop for language learning tips, and advice, and motivation. Twice a week you get a new episode. Today, I’m going to do something a little bit different. I’m going to talk a bit about what I’m up to in I Will Teach You a Language, in the business, in the — I guess, what I’m kind of moving towards, which is more like a — I guess it’s kind of like a publishing house in many ways. It’s, like, creating material. There’s been a lot of stuff happening recently, it’s been really well-received. So, what I thought I’d do is talk a little bit about behind the scenes, kind of what I’m working on when I’m not learning languages, especially my new Conversations project, which is the main thing I’m working on this year. And, it’s gathering steam rapidly. So, I thought I would tell you a little bit about what’s going on with that. 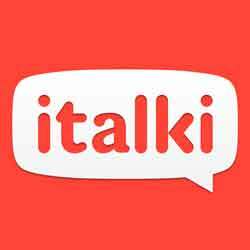 Before we start that, though, I’d like to thank the sponsors of the show, the place where I get all of my language lessons, whether you want a super-human professional teacher or just someone to chat to regularly in the language you’re learning, you can get that with italki. And, to get $10 worth of free credit you can go to iwillteachyoualanguage.com/freelesson. Now, one of the most important things you need to do when you’re learning a language is to improve your listening. I’ll be honest, over the years since I’ve kind of discovered that’s it possible for learning languages quickly, I’ve actually neglected my listening skills. I’ve focused a lot on speaking, and I haven’t always been as strong with my listening skills. With languages I’ve learned, like Spanish and French, Romance languages, languages that are close to English, I’ve managed to get away with it. Because, through speaking a lot with people your listening improves gradually, and naturally. However, since I started learning Asian languages, so, Japanese, Arabic, Cantonese, it’s been a very different story, and I’ve found that my listening skills have really lagged behind my speaking skills. Because, there’s just a lot of difference between the languages. Lots of vocabulary you don’t know, and so on and so forth. And so, as I have been studying my languages over the past few years I have noticed that I’ve never really been able to find the material that I want to help me practice listening. Why not? Well, as a beginner you’ve got lots of textbooks, right? You have textbooks with short, simple dialogues, something to listen to, I guess, to kind of give you a bit of listening practice. But, the problem with these kinds of dialogues is that they exist to teach you a language point, or a grammar point. So, for example, if you’re learning Spanish, in the first chapter of your textbook you’re going to get a little dialogue that teaches you how to say ‘yo soy, tu eres, el es’, you know, ‘I am, you are, he is’. And, the dialogue is written by the course book creator, and then they record the audio. That is not listening practice. All right, it happens to be recorded audio, but it’s not for listening practice. It’s to teach you a language point. And so, this is the characteristic of most beginner language materials. Although there is listening material that is very short, like 30 seconds or so, and it’s only intended to teach you specific words and phrases, or grammar, not to actually give you practice for the listening skill itself. Now, as you get more advanced in a language, you go out and you speak to people, you watch TV, you start to live the language. And, through the sheer number of hours that you spend with the language your listening improves, because you have to listen a lot in order to function in a language. So, you’ve got these two extremes. You’ve got the beginners’ world, where you have short dialogues that are intended to teach you specific words. And then, you’ve got stuff intended for native speakers, the radio, podcasts, TV, websites, things like that, books, magazines, whatever. There is a huge gaping hole in the middle. Now, depending on the language you’re learning you can find material out there. So, you might find a kind of, I don’t know, a Spanish intermediate textbook in your local bookshop, which has dialogues there for study. You might find a kind of French website with — or, the other day I saw an Italian website with, like, I don’t know, 20 or 30 listening practice dialogues. But, there’s always something wrong with them. They’re, like, far too short, like 30 seconds or a minute long. Or else, they’re, like, deadly boring, like, you know, ‘at the bank’, or, ‘in the supermarket’, or, I don’t know, something that just makes you want to end it all, you know. And, usually it’s both. They’re usually very short and very, very boring. And, usually they’re trying to do something specific, like teach you, I don’t know, how to open a bank account, or something like that. So, although there are kind of scattered things out there, the huge, thing in my mind, that is missing from the language learning world is a kind of comprehensive resource for multiple languages at different levels, giving you targeted listening practice — well, dedicated listening practice, I should say. What do I mean by that? I mean that, so for example, if you’re learning German and you’re, let’s say, A2, which is an upper-beginner pre-intermediate level, maybe you’ve been learning for, I don’t know, three or four months or so. You can already kind of have a conversation. You’ve been through the beginners’ material. What you want to be able to do is sit down with a listening track that is, say, two to three minutes long, so it's a good chunk of material. And, you simply listen to what’s going on. You don’t necessarily study it. You’re not doing it in order to learn the case endings, or whatever. You’re just listening for the sake of it, for the sake of spending time with the language. That is how your listening skills really improve. And so, there’s a huge need for that material. Now, it’s not just enough to have a listen by itself. Along with the listening tracks, you’ve got to have the transcripts so you can not only listen, but you can read the words, as well. Because, that’s when you form connections in your mind between the way a language is spoken, you know, spoken accents and pronunciation, and the language itself. It also enables you to kind of pause the recording and actually go back and spend time reading the text in more detail, in your own time, which is something you can’t do with movies, for example. And then, you also need the translation, in English, or whatever other language, so that you can understand things when you want. So, if something’s a bit hard, you’re trying to make sense of it, you can see the translation. You see the problem, right? It’s fairly clear. And so, what I want to do is — whilst I acknowledge that there is stuff out there in different places, so whatever language you’re learning you can usually find something if you dig hard enough. What I want to create is a one-stop shop for dedicated listening practice, in a bunch of different languages, so that whatever language you’re learning, whatever level you’re at, you can get the ideal material for you so you can develop these really strong listening skills. Because, when you develop strong listening skills you understand native speakers. I mean, that is powerful stuff. You know, you don’t get nervous anymore, because you understand what’s being said. You learn new vocabulary much more easily, which means you can use that in speaking as well. There’s so many advantages. And so, this is the story behind Conversations. Conversations is my new project, and it intends to fill this gap. Now, why is it called Conversations? It’s called Conversations because you don’t want to listen to any old stuff, you don’t want to listen to John going into the bank to order a credit card. I mean, no one cares about that stuff. You want to be engaged, and interested, and inspired by what you listen to. So, there is a need for ‘story’. Many of you have read my short-story books on Amazon, which have been super popular. And, one of the reasons that they’re so popular is because of the power of story. When you read a story, even if it’s in a language that you’re not so confident with, and you’re not so strong at, the story itself gives you the motivation, the impulse, to keep going, to carry on. And so, story is super powerful. So, with Conversations what I’m doing is creating one big story. It’s going to be interesting. You’re going to enjoy listening to it. You’re going to want to listen more, because you’re going to be interested in the story. It’s going to take over, I think it’s 20 different chapters, and it’s all set at a specific level. So, if it’s at the A2, the pre-intermediate level for example, all of these stories — all of the chapters of the story will be at that A2 level. So, you’re not going to hear all this crazy stuff coming out of nowhere that’s too difficult for you, nor is it going to be too easy beginner stuff. We’re pitching it exactly at the A2 level. And, the only difference — the only, I guess — in fact, this is feedback that came from the testing group that we had on Facebook recently. The main thing that I’m going to be focusing on with this now is that it’s not — it’s going to be very casual spoken language. Okay? My short-story books are slightly more literary in a way. Well, they do have dialogues, but it’s focused mainly on, you know, telling the story. What we’re doing here with Conversations is we’re still telling a story, but we’re doing it through dialogue, and through conversations. So, there’s no narrative, it’s just people talking, one person talking to another person. And we’re including lots of casual language. Again, one of the pieces of feedback that came from the focus group was that you guys wanted a bit more slang, a bit more daily language. So, we’re really trying to make it as casual and as authentic as possible. That’s what’s going to make it more compelling and interesting than your average kind of textbook. So, this is what I’m making, and we’ve been going for a few months now, actually, behind the scenes. And, I started off by actually creating the stories, a few sample stories in English, and we’ve set it in — we’ve set the story in the UK. And so, the way I’m approaching this is by creating the whole thing in English, and then making different language versions. Now, this was a difficult decision, because one of the things I thought was, well, it might be better to actually create — so for example, for the Chinese version, to write a new story, new conversations, for Chinese specifically. And then for the French version, create new ones for French specifically. But then, the problem is: how do you control for quality? How do you make sure that the product ends up being consistent and good across all the languages? That’s kind of the problem. So, what I’ve done instead, I’ve focused a lot of energy on creating kind of like a base English version from which all the other language versions will be inspired. And, the kind of qualities and characteristics of the English conversations will mean that we’ve got this nice consistency across the series. So, if you use the Italian Conversations for example, you can then go and use the Chinese Conversations. You know what you’re going to get. The level is going to be the same. It’s going to be the same quality etc., etc. Now, in order to make that work, what I’ve focused most of my attention on is actually finding really talented linguists to help with creating the specific language versions. Because, what these are not are translations. So, when you get the Chinese Conversations it is not a translation from the English. So, what is it then? Well, what we’ve done is spent a lot of time working with the different linguists to create localised versions. The way I’ve been explaining this to people, is it’s much more like localisation than translation. So, whereas translation would copy everything’s that said, localisation means you make it appropriate to the local culture. So, whereby in the English version if a guy walks into a local teashop and orders scones and they chat about the weather, that is not going to happen in Italy. All right? Because, you don’t talk about the weather in Italy. And, you certainly don’t order scones in a teashop. So, what’s happened is that the individual linguists have had a lot of freedom and creative licence to move the conversations from the UK to Italy, and make it very, very local. So that the final result is going to be something that is very Italian, or very French, or very Japanese. And, that is how we make sure that you don’t end up with this kind of awkward translation of, like, people in a teashop in the UK ordering scones but speaking Chinese. That’s just crazy, right? The stuff that you listen to has to be authentic. It has to make sense in the local context. So, you can probably tell there’s been an awful lot of thought going into this. And for me, as I’m finding more and more in the materials that I produce, the most important thing, the most challenging thing as well, is finding really good people to work with, people that really understand and ‘get’ this concept. And, I’m really lucky now to have a group of people who are very, very talented, really know their stuff, and are going to be working on creating really awesome listening materials for everybody, for the entire language community. We are making six languages to start. So, we’re going to have French, Spanish, Italian, German, Japanese, and Chinese. I really wanted to do more, but you have to start somewhere. Right? And, the original English dialogues are finishing up — I think they’re being finished about now. Actually, at the time of release of this podcast, probably the week before. So, as you’re listening now I think last week they will have been finished. So, now we’re finally starting the finished writing project, which is going to take place over the next few months, where the individual language conversations are going to be created, inspired by the English version. Then, after that we have to do huge rounds of making sure the English translation is correct, the transcriptions — we have to go into professional recording studios, and, you know, make good quality recordings, because you’re going to be listening to this, after all. And, it’s a lot of work. It’s extremely expensive to produce. But, I believe in this so much that I am hoping that you’re going to like this, as well, and you’re going to find this valuable for your own learning. And, if I can help people improve their listening skills in the language they’re learning, then that will be a resounding success, and it will have all been worthwhile. So, that’s a little insight into what’s going on. There will be opportunities to get involved in this before the official release date. So, one thing I always like to do with everything I do, really, is to offer people who support what I do and follow what I do, the opportunity to get in early, usually at the big, discounted price. These are not going to be very expensive, this particular material. It needs to be — I want it to be accessible. But nevertheless, I will be giving you the opportunity to pick up a copy very cheaply, or maybe a bundle — I don’t know, I’m not exactly sure what it is, but something basically to say ‘thank you for your support’. I don’t know what the details of that are, yet. It’ll be a couple of months’ still in the making. But, if you would like to find out about that, make sure you are on my email list. So, head over to iwillteachyoualanguage.com and enter your email in anything that pops up. I’ll send you a bunch of cool articles, as well. You can also join a Facebook group. So, you can go to Facebook and search for Olly Richards’ Fluency Mastermind. If you’re in the Facebook group there you’ll definitely get notified about that, as well. So, all in all, I’m really excited. And, I hope you are, too. That’s all I’ve got for you today. Go and make sure that you are signed up to either the email list or the Facebook group, or ideally, both. And that way you’re going to get information about this when the time is right. And that’s it. If you’ve got any comments about this, or any suggestions, or whatever it may be, feel free to go over and leave a comment on the show notes iwillteachyoualanguage.com/episode182. Thank you so much for listening, and I’ll see you in the next episode of the podcast.